By now we all know that Research In Motion has now changed their business name to just “BlackBerry” and with the name change is coming some huge shifts in thinking and marketing. They have finally took the wraps of its much sought after BlackBerry Z10 smartphone, the first phone to run the BlackBerry 10 mobile OS. It has been a few tough years for Blackberry, losing more ground every year to smartphones like the iPhone and the android flagship devices such as the Galaxy series of smartphones. Consumers and business advisors have been calling for Blackberry to make a smartphone for years the wait is finally over now. 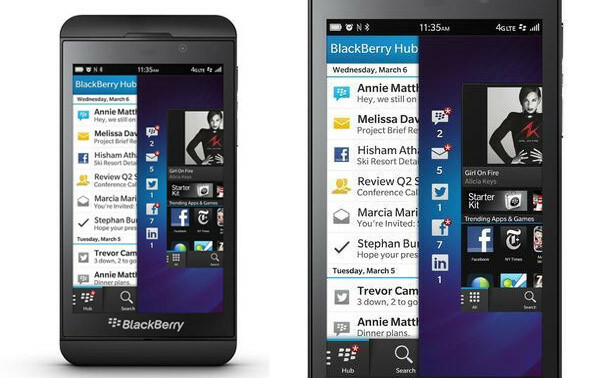 Now its not that their old phones weren’t ‘smart’ they aren’t even close to how intuitive the Z10 is. The one thing blackberry never lost over the last few years has been their large business user base. Now with a smartphone on the market they can begin to cater to the everyday businessman or businesswoman in ways they already do so well with. It will probably be sometime before the older generation of blackberry phones migrate and adapt to the new phones on offer. Despite this however it could mean big things for those like us in marketing. Smartphones are great channels for marketing, and with the leading seller of mobile devices to businesses joining in on the smartphone market it bring in a once very segregated audience to the fold. Mobile marketing is something we truly believe mobile marketing is the future and is taking off and becoming mainstream for more marketing agencies. Mobile marketing has the ability to reach your customer whenever you want at virtually any hour, and with permission marketing being a huge key in today’s marketing philosophy your customer may view your advertisement at their leisure or just when they need it. So now with Blackberry’s shift in mobile devices marketers can reach the large business segments who haven’t had smartphones in the past. Try Dynamic’s SMS Marketing today! Gives us a call to see how we can help you reach your marketing goals.